With the new school year just about to get underway for Australian and New Zealand teachers, I thought it would be the perfect time to give you our top ten icebreaker activities. In this episode I share my five go to activities that I use with all groups I teach. This includes students, teachers, adult sports clubs you name it these five are amazing. 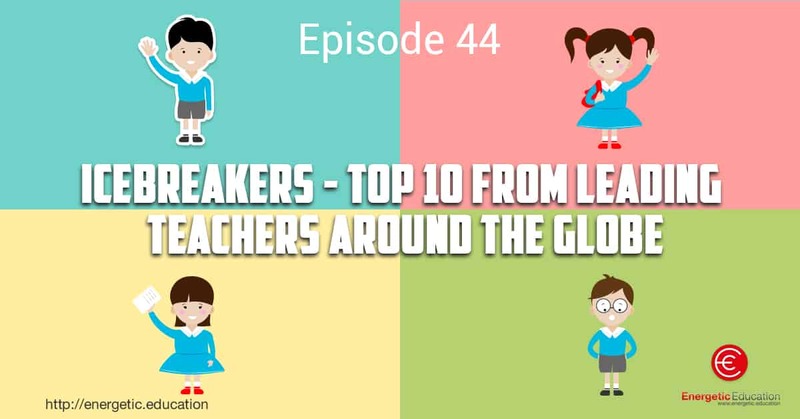 I have also spoken to five expect teachers from around the globe who share their top icebreaker activities. Starting your day with some form of fun engaging activity creates a classroom climate for learning and challenging students to participate and take risks. Below are ten activities with links to watch demonstration videos. If you would like to add to this list please email me at dale@energetic.education I will include these in a new podcast midway through the year. Thank you and have a wonderful day. If you would like a free copy of our top Icebreaker eBook simply visit our website www.breakappz.com On the opening page you can access the eBook for FREE. Or if you have a smart phone or tablet you must get our top selling app ClassBreak. Simply search ClassBreak as one word on iTunes or the Google Play store to download this amazing teaching resource.